Microsoft for Startups is launching in Estonia and Lithuania after a successful test run in Latvia. The program delivers access to technology, go-to-market, and communities, as well as helping startups grow their customer and revenue base. Microsoft is committing $500 million over the next two years to offer joint sales engagements with startups, along with access to technology, and new community spaces that promote collaboration across local and global ecosystems. With the program’s goal, support and partnership with TechChill startups can turn into the next Baltic success story such as Skype. Startup ecosystems are growing around the world, and Baltic states are no exception. Latvia, Estonia, and Lithuania offer talented developers, creatives and strategically thinking founders. By acknowledging the promising ideas and works of entrepreneurs, Microsoft for Startups invests and takes a unique approach to connect startup founders with new customers thus expanding their market, as well as uniting them with like-minded people and potential partners. “In the spring of this year, we presented a new support program for startups in Latvia, and now we aim to find the new unicorns in Baltics and support their journey into the global business. Microsoft has its offices in more than 120 countries, and we have the luxury to consult startups on business development, as well as to support the sales process when it comes to ready products”, shares Renate Strazdina, Microsoft Baltics General Manager. 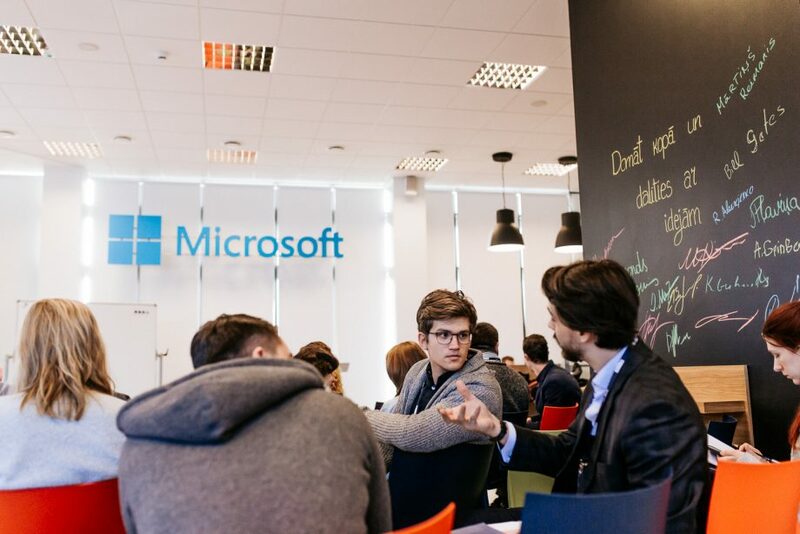 Microsoft in Baltics works with startups of all sizes and all stages of their development path. The program offers different community benefits. Starting with a cloud marketplace promotion and sales support that allows startups to have Microsoft cloud marketplaces for the advantage of promotional benefits, as well as use the instantaneous lead sharing that is integrated into the startups CRM system when opening an application or solution in Azure Marketplace or AppSource. Onto, the Microsoft Partner Network – company’s worldwide partner ecosystem that allows discovering how Microsoft can help in expanding the business and reach customers. Furthermore, the Microsoft’s on-demand technical resources help startups to build on Azure including code samples, Azure roadmap, Azure updates, knowledge center, and technical courses. On-demand business resources also assist startups in building the cloud business model and market strategy, including tutorials, partner profitability models, business design sessions, and other go-to-market guidance. On top of that, the program also includes participating in local community events with Microsoft executives, technical and business experts. Microsoft has more than 40,000 sales representatives and hundreds of thousands of partners with the goal to introduce Microsoft cloud solutions to companies and industries around the globe. The program provides dedicated resources to prepare startup marketing and sales side to effectively sell their cloud solutions to company organizations in partnership with Microsoft’s global sales organization and partner ecosystem. The program provides startups with up to $120,000 in free Azure credits, technical support, and development tools – supporting the languages of their choice, such as Node.js, Java, and .NET. Also, startups get access to business applications, including Office 365 and Microsoft Dynamics 365. The program in Latvia was launched this spring and turned out to be very successful. One of the startups, Pilot Automotive Labs, has received Azure credits to work on their product and bring safer and more efficient personal transportation saving time and mitigating traffic to everyone. There are already many startups that incorporate Azure Cloud services to continue the development of created solutions and products, and Microsoft is excited to see these startups and founders across the global business environment. To make the best of the Microsoft for Startups, company is collaboration with experienced partners that supports Microsoft to connect business world with the startup ecosystems, for example, ALSO Latvia is sharing their technical support and expertise, Lux Technologies offers an example of how to develop the business and grow the company outside the Baltic states, IBD Consulting with sales and business development knowledge, Blue Dom Capital venture capital fund and many more. 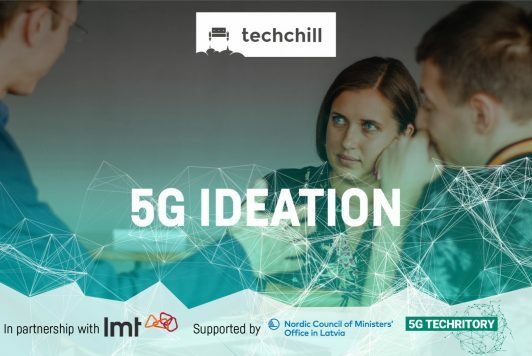 The program is launched in close partnership with TechChill and our role as TechChill is to help Microsoft meet startup communities in the Baltics and facilitate the interaction between the two, as well as build bridges between experienced business representatives and startup founders. Startups, entrepreneurs and young generations themselves urge experienced companies to build new products for improving their personal and professional lives. Microsoft is honored to team up with startups to empower people and organizations everywhere.